Pentair's NexSys Upgrade program can take almost any existing vessel and make it more efficient and reliable. Rental vessels are also available for fast turnaround and no capital outlay. Pentair's Dr. Grace provides a Separation Anxiety Relief Tip about the impact of H2S content in Amine plant operation. Pentair's Dr. Grace provides a Separation Anxiety Relief Tip about avoiding tip fouling in Fuel Gas. Pentair's Dr. Grace provides a Separation Anxiety Relief Tip about Glycol Loss. Pentair's Dr. Grace provides a Separation Anxiety Relief Tip about Heat Exchangers. Pentair's Dr. Grace provides a Separation Anxiety Relief Tip about Jet Fuel Hazing. Jimmy is back for his third visit. His gas processing facility in East Texas runs 2 trains processing 100 million square cubic feet of gas per day and is not meeting our product spec in our residue sales gas. Watch and see what good news Dr. Grace has for Jimmy's problem! Jay is coming down off a shutdown with estimated loss of revenue of more than 200,000 dollars. The plant has been having problems and productivity losses due to deisobutanizer tray fouling which caused reduced throughout the alkylation unit. High levels of salt-saturated water contaminants bypassed the coalescing vessel. Dr. Grace has good news! Watch to find out what solution Dr. Grace has for Jay's relapse. Jimmy is back to visit Dr. Grace with a new problem. Jimmy's latest issue is dealing with opening quick release closures during operation due to filter cartridges swelling, killing operation efficiency and high cost. Click on the video to see what solution Dr. Grace has for Jimmy's Separation Anxiety! Mani is back seeking help from Dr. Grace. This time to resolve the constant plugging of the custody transfer filters at the gasoline loading dock. Dr. Grace, being familiar with this issue, suggested that he contact Pentair so they could deploy a rental unit. Click on the video to see how quickly Mani's Separation Anxiety could be relieved! A Midwest US refiner was realizing stripper tower flooding downstream of its 120 MBPD Fluid Catalytic Cracker Upper Gas Concentration (FCC UGC) Unit which resulted in both production and operational losses estimated at $125K per year. A Pentair competitor was supplying the cartridge elements for the 42” O.D. vessel, which was manufactured in 1981. Refinery engineers declared it to be undersized for the most recent operational conditions. What is Dr. Grace's diagnosis? Jay is seeking help from Dr. Grace because he is fed up with the bag filters they are currently using in his plant. Those bag filters are not working well, leaving contaminated amines, and needing to be changed out all too frequently. Click on the video to see what solution Dr. Grace prescribes! An amine unit in a NGL Fractionation plant in Louisiana was experiencing problems and inefficiencies. They were using string wound filter elements that were causing them to use a lot of elements that they had to change-out frequently! On top of that their amines that were not clean enough. See what happens when Jimmy visits Dr. Grace, Pentair's Separation Anxiety Therapist! Can this Permian Basin water facility find an alternative and higher performing technology to the combination of their existing gun barrel or “magic” tank and walnut shell filter solution that is currently in place? Let's join Mani as he meets Dr. Grace and find out if Pentair has a solution to his Separation Anxiety! Trena is back, but she is not looking too good. Trena has been having challenges with fouling and corrosion of separators, piping, and control valves at her central gathering facility. Dr. Grace has a great solution for Trenas troubles, stay tuned to see what the solution is! The oil and gas exploration industry is under pressure to address mounting water management challenges. Factors like limited resources at sites, water intensive unconventional plays, ... and excessive transportation and disposal costs ... all impinge on economics. An ever-changing regulatory environment combined with demands from the public sector for conservation and sustainability has put water management at the forefront of the industry. Produced water streams must be treated prior to disposal, reinjection, or reuse. Effective hydrocarbon recovery and solids removal from produced steams is critical. Delivering reliable, stable operations enhances performance while addressing the health and safety of surrounding communities. The challenge associated with conventional separation mechanisms is that they depend on capturing the droplets through impaction of the droplet on a separation medium (such a wire mesh or filter media). As the droplets become smaller, the boundary layers around such media increase in dimension to the point that the droplets are much more likely to move around the fiber rather than collide into it. The capture of such fine droplets, then, requires advances in technology to reduce such boundary layers, as well as create additional mechanisms for droplet capture. Pentair's Apex element is specifically intended to keep annular velocities constant across the entire height of the element. This is accomplished by introducing a gentle taper in the element, so that the annular space on the outside of the element gradually increased from the bottom to top, keeping pace with the external fluid flow as it exited the element. The high fluid velocities at the circumference of the cylindrical element require the cylindrical elements to be spaced further apart. Apex® elements do not have to be spaced as far apart allowing the same flows to be handled in a smaller vessel, implying lower capital costs. Go to our Vimeo channel for all videos or visit our YouTube channel. What, who, where and why? We don't have a canned response to most questions just as we don't have "a filter off of a shelf" for your filtration and separation needs. We believe that understanding precedes solutions, so see if you can, find your answer here, but do not hesitate to contact us to start a conversation. What if I don't see my process unit or application on the site? Do I have to replace my existing filter or separator? How often do I change my filter elements? How fast can I get my separator vessel? Does your technology primarily go downstream? Can I get someone to do a presentation to my group? If you do not see your application or process unit on the website, simply go to our contact page and let us know what are doing or wanting to accomplish. Our R&B and scientists have developed new technology and solutions based on client's needs in the past. And while we can't guarantee that will happen, our technical group will look at what you are doing and let you know if we can help. No, you do not need to replace your existing filter or separator. You have options! Those may include upgrading your existing equipment with our high performance technology or renting another vessel to facilitate higher efficiency. Contact us and we will help you determine the best option. We used to be Porous Media! In 2007, Pentair acquired Porous Media. We are still providing the highest quality in high performance separation technology, just as we have since 1987. No wants to hear it, but it DEPENDS! There are a lot of factors that go into change out timing...pressure, flow rate, temperature, contaminant or processing fluids, media being used on the filter element, and even more! So just drop us a line and we'll help you out. The timeline to get your separator vessel begins when you submit your purchase order. From that time, it depends if you are purchasing a new vessel to a certain specification or if you are renting a vessel that is currently in stock. A rental can often be deployed within 48-72 hours from the time the purchase order is submitted IF it is in stock. A new capital purchase really depends on specifications, application and need. Please contact us for more information. Our history will show that our technology has primarily lived downstream in refineries, gas processing and chemical plants. But our technology can also be found UPSTREAM at the well head, offshore on a platform or in gathering facilities for produced water treatment, salt water disposal and more. Yes! It's not uncommon that we will come out and present to a group to educate about our technology and learn about your process. Feel free to reach out to us to schedule something. Each one of Pentair's media are specifically engineered to provide efficient separations where purity is critical in process fluid, chemical and water filtration applications. They are designed to maximize efficiency, dirt holding capacity and chemical compatibility while assuring negligible contribution of extracted materials and the absence of fiber shedding. Hybrid is composed of cellulose fibers and synthetic microfibers. This combination provides filter media with unique properties for a wide variety of applications. It combines the chemical compatibility, strength and microfiber properties of synthetic fibers with the cost-effectiveness of cellulose fibers in a single media. As a result, the media provides significantly lower clean pressure drop, higher contaminant capacity and longer element life when compared to wound string, wound sock or molded tubular elements at the same fluid cleanliness levels. Delivering performance at superior cost savings relative to other media types, NEXCEL separation media is composed of natural fibers (cellulose) cross-linked with a proprietary polymeric medium used to both coat and adhere adjoining fibers, creating a fixed pore matrix. This combination provides filter media with unique properties for a wide variety of applications. 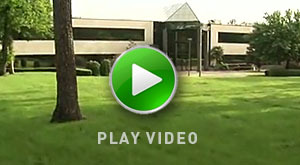 The proprietary formulation of NEXCEL provides significant advantages to conventional cellulose or pleated paper media; Primary among these advantages are the absence of media swelling in the presence of water, allowing NEXCEL to be used in hydrocarbon service, aqueous service and mixed aqueous / hydrocarbon streams. NEXCEL is the preferred solution for mixed aqueous / hydrocarbon streams such as refinery amine service (which contains trace hydrocarbon; 5 – 5,000 ppm) and intermediate refinery fuel streams (diesel, kerosene and naphtha) where free water is present. These streams are often problematic for both conventional pleated paper as well as polypropylene media as conventional pleated paper may experience swelling concerns in the presence of water and polypropylene may experience swelling concerns in the presence of hydrocarbons. Additionally, NEXCEL media contains no surface sizing treatments eliminating the possibility of chemical leaching and foaming often attributed to these components. Polyform is composed of polypropylene micro-fibers thermally cross-linked to adhere adjoining fibers, creating a fixed pore matrix. This media design provides unique properties for a wide variety of applications. The formulation provides significant advantages where use of a chemically inert material is preferred. It is the preferred solution for separations requiring the absence of extractable ions or other chemical species and in streams of high chemical reactivity at moderate to low temperatures. Neutraform media is composed of polyethylene sheathed, polyester core micro-fibers thermally cross-linked to adhere adjoining fibers, creating a fixed pore matrix. This media design provides filter media with unique properties for a wide variety of applications. The formulation of Neutraform provides significant advantages where use of a chemically inert material is preferred. It is is the preferred solution for separations requiring the absence of extractable ions or other chemical species and in streams of high chemical reactivity (e.g. – sulfuric acid, strong bases, strong oxidizers, etc.) at moderate to low temperatures. Puracel is composed of pure, binderless cellulose. This media design provides filter media with unique properties for high purity applications. The formulation of Puracel provides significant advantages where use of a chemically inert, food grade material is preferred. Puracel is the preferred solution for separations requiring the absence of extractable ions or other chemical species and in food contact streams. Applications include water based fluids, edible oils and ethylene oxide filtration. Polytherm is composed of polyamide microfibers thermally cross-linked to adhere adjoining fibers, creating a fixed pore matrix. This media design provides filter media with unique properties for high temperature applications. The formulation of Polytherm provides significant advantages where use of a thermally inert material is preferred. Polytherm is the preferred solution for separations requiring the high temperatures coupled with high solids levels. Applications include hydroprocessing feed filtration of heavy feeds (e.g. – resid, atmospheric bottoms, vacuum bottoms, etc). Thermaform is composed of polyaramide microfibers thermally cross-linked to adhere adjoining fibers, creating a fixed pore matrix. This media design provides filter media with unique properties for thermally demanding applications. The formulation of Thermaform provides significant advantages where use of a thermally inert material is preferred. Thermaform is the preferred solution for separations requiring the high temperatures coupled with high solids levels. Applications include hydroprocessing feed filtration of heavy feeds (e.g. – resid, atmospheric bottoms, vacuum bottoms, etc) and applications employing high temperature steam. Dextra media delivers superior fluid quality and clarity relative to other media types. The media is composed of natural fibers (cellulose) and diatomaceous earth cross-linked with a proprietary polymeric medium used to both coat and adhere adjoining fibers, creating a fixed pore organic / inorganic matrix. This combination provides filter media with unique properties for a wide variety of applications. The proprietary formulation of Dextra provides significant advantages to conventional media for removal of very fine suspended solids and for fluid clarification; Primary among these advantages is the incorporation of diatomaceous earth, dramatically increasing available surface area and providing a system of micro- and nano-channels to adsorb fine solids and retain reformable gels. Dextra is the preferred solution for applications requiring high levels of fluid clarity and chemically inert media.